To believe in most anything is an intangible act of faith. We sort through what we can and cannot believe in as we grow older. I have learned that belief is not fickle. I grew up Episcopal, and now return for good. In fact, my fiancée is an Episcopal priest. Sadly, I believed in a hasty version of love when I was desperate, and that misdirected love nearly cost me my life. However, now I believe in love with renewed vigor. Love requires a perfectly honest evaluation of your partner. It must be much, much more than wishful thinking. More perilous still, I spent these worst years of my life not believing in God. I resented much in my path and thought if a God could dole out such obstacles, I would choose not to believe. I was given no choice and I felt violated. Now, I am better educated on religion. I see that God did not create these obstacles, but He did point my recovery in the correct direction. A very long and incredibly difficult time, by anyone’s standards. But God pointing me straight gives me faith. After years of being lost, I am found. 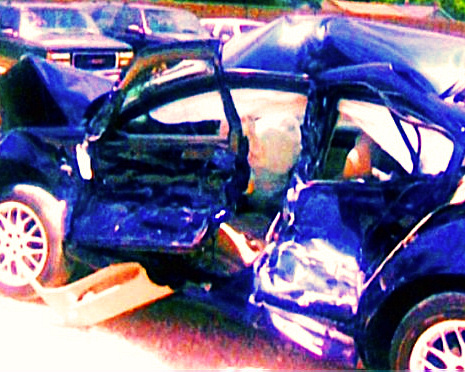 *This is the seven-year anniversary of a car wreck that forced Dunlap to start his life over from scratch.